The following is an update from Benchmark Minerals Intelligence. Limited market activity following the Chinese New Year saw flake graphite prices stabilise within existing ranges in February. 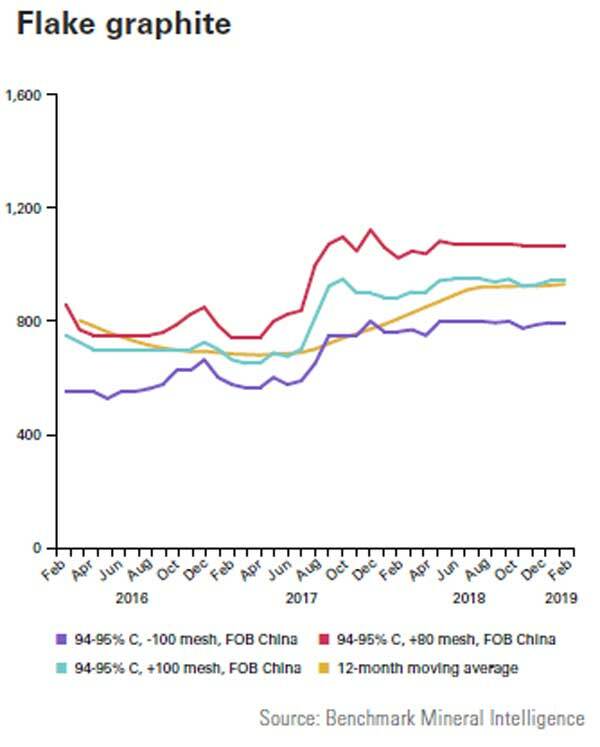 Although pressures remain in the domestic market as Chinese suppliers seek to compete with growing low-cost imports from Africa, FOB prices out of China have shown little response to the seasonal slowdown in production. The lingering effects of the previous year’s environmental restrictions on production mean flake prices still remain higher than Q1 2018 on average, particularly for large flake grades.